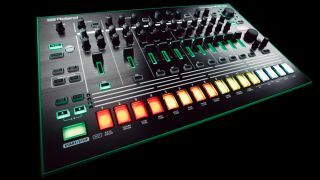 Bringing together the sounds of Roland's iconic TR-808 and TR-909 drum machines, Roland's TR-8 has become a contemporary classic in its own right, and you can currently pick it up for the knockdown price of just $299. The TR-8 not only does a great job of emulating its rhythmic ancestors, but also includes a number of forward-thinking features that make it suitable for use in the modern studio. There's a hands-on, performance-orientated interface, effects, and flexible pattern-creating options. Although it's been bettered by the TR-8S, the TR-8 remains a great machine that will serve you for years to come, and it can even be expanded with TR-707 and TR-606 sounds. If you've been waiting for the price to drop, now's the time to pull the trigger.